Easter is coming up and there are plenty of special dishes popping up around town, and this one is just a whole lot of fun. 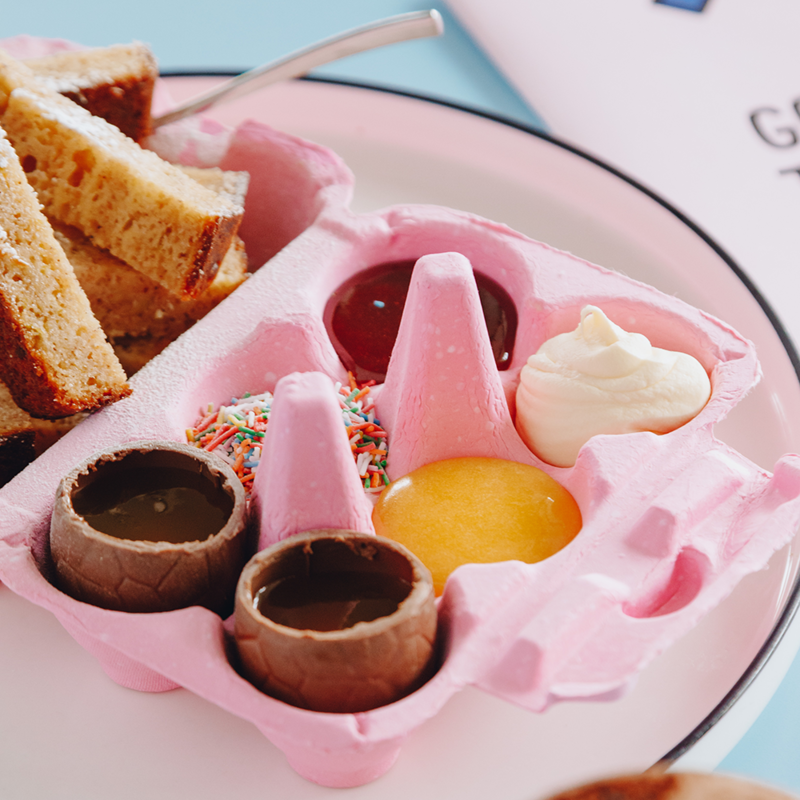 The team at Good Times Milk Bar have sugar coated their popular Dippy Eggs dish and given it a chocolate twist. Using apple & cinnamon loaf, you’ll be able to stick into condiments like strawberry coulis, mascarpone, sugar strands, lemon curd and possibly the best of all… CHOCOLATE CARAMEL CRÈME EGGS! The dish is only available in the week leading up to Easter so you’ll need to hop to it if you want to try it out. For the full menu and to book, go here.